Why get my horse massaged? The first session for each horse will last roughly 1.5 to 2 hours. You or your trainer must accompany your horse for this session and fill out a client intake form, which can be emailed to you prior to the session. During this session, we will evaluate the strides and movement in hand/on the lunge if possible. We will also discuss your training goals and problems areas that you wish to address. 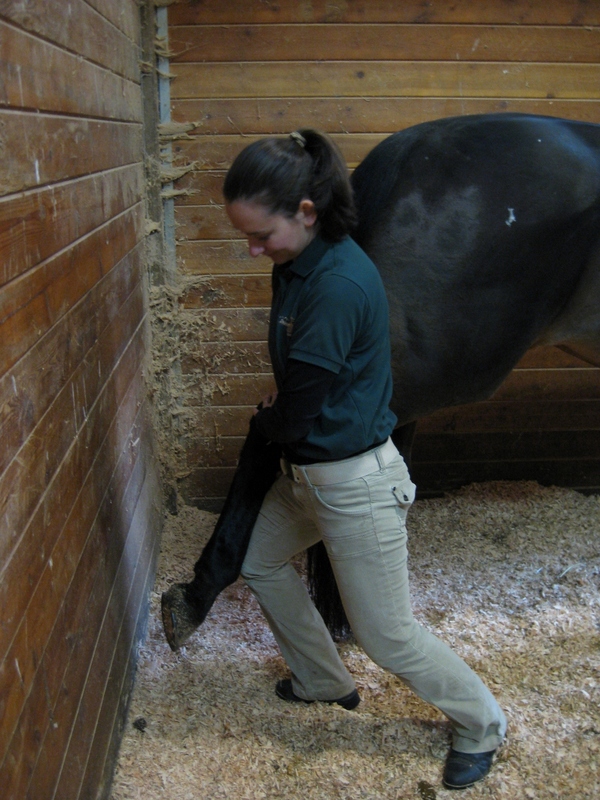 We will perform an overall palpation of the horse to identify areas of concern. When we massage a muscle for the first time, we intend to improve it, not necessarily “fix it” immediately. If one works too deeply for too long, the muscle may become damaged and bruised. Because of this, it may take multiple sessions to see a significant change. What should I expect for further sessions? Additional sessions, within 60 days of the initial evaluation, will take about an hour, depending on how the horse responds to the massage. Some horses can only stand for 45 minutes, and others can stand still for hours on end. Many factors can influence the length of a massage, including the horse’s personality, patience, and condition each week. Since the length for each massage varies, I charge per session rather than per hour, with a session limit of 90 minutes. This gives us the flexibility to extend the length of the massage if the horse and its muscles are up to it. Depending on the horse, you may not need to be present for these sessions. We will provide you with a massage evaluation sheet even if you do not accompany your horse to the session. Our service area includes but is not limited to: Redmond, Bellevue, Kirkland, Issaquah, Woodinville, Duval, Carnation, Bothell, Fall City, Hobart, Kent, Snohomish and Sammamish. We accept cash or check. There is a $25 returned check fee on any check returned by the bank.